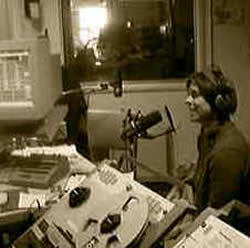 CKUA was founded in 1927 on the University of Alberta campus by H.P. Brown, the audio-visual director in the U of A's Department of Extension. Brown was a visionary with a dream of using radio to deliver education to the people, particularly those in rural Alberta. He set about securing a provincial government grant to ostensibly hire an "assistant" for his department. But upon receiving the $700 allocation, he used the money to set up a radio station and began broadcasting university courses and other educational programs via the airwaves. 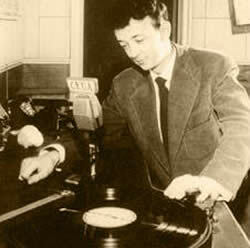 As such, Brown became the founder of CKUA, Canada's first "educational broadcaster", first "public broadcaster" which predated the CBC by almost five years and, considering his modis operandi, he might also be considered the originator of "pirate radio" in Canada. Now celebrating its 75th anniversary, CKUA is stronger than ever, operating as a not-for-profit, public service broadcaster specializing in non-commercial, alternative music and information programming designed to enlighten, entertain and educate. CKUA broadcasts province-wide in Alberta via a network of one AM transmitter and 16 FM transmitters that stretch from Fort McMurray in the north, to Lethbridge and Medicine Hat in the south. CKUA also broadcasts world wide via the Internet through its website at www.ckua.com . CKUA raises more than 50% of its annual $3-Million operating budget through listener donations and is the winner of numerous prestigious awards including three consecutive Prairie Music Awards as "Radio, Television & Print Media Outlet of the Year". CKUA employs about 30 exceptionally talented staff and another 12 contracted personnel, located in both Edmonton and Calgary. CKUA is also dependant upon the generosity and talents of thousands of dedicated volunteers throughout Alberta who assist in day to day operations and many special events in support of CKUA throughout the year. CKUA plans to expand its current broadcast service to 24/7 within months and is in the process of developing a capital plan for construction of a new, permanent broadcast facility to replace CKUA's current aging home. CKUA engineers invented the "peak limiter" device which is now standard equipment in every radio station in the world. The Innovation Alberta Omnimedia Project is perfectly in keeping with CKUA's own mandate to inform and enlighten people in an entertaining manner. Just as CKUA supports the arts, we also support Alberta's business and research communities and promote their contributions to our province, Canada and the world.